The Flight Deck is not open to the general public. 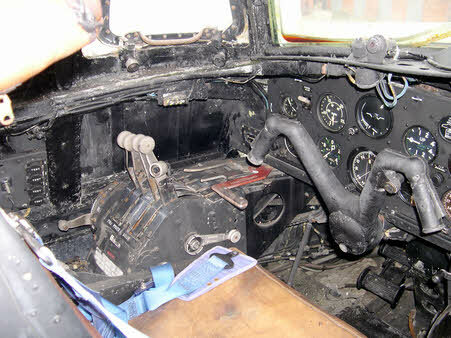 Members of the Beverley Association have assisted in the restoration of XB259's Flight Deck. 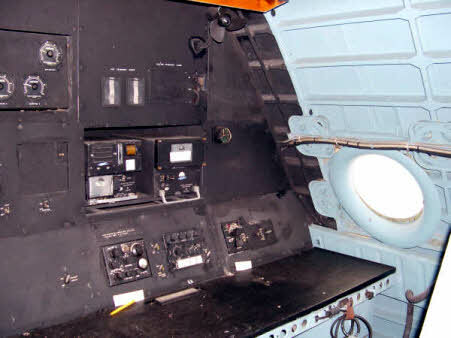 LEFT: Another Beverley Flight Deck has been preserved. 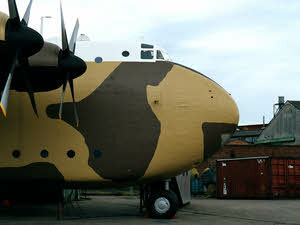 It can be seen at Newark Air Museum. This is from XB261 which spent its days at A&AEE Boscombe Down, carrying out air dropping trials including ultra low-level. 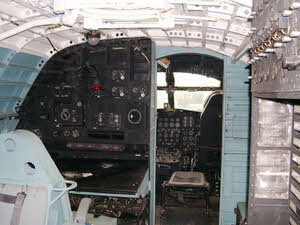 The photo was taken when the Flight Deck was at the Imperial War Museum, Duxford. 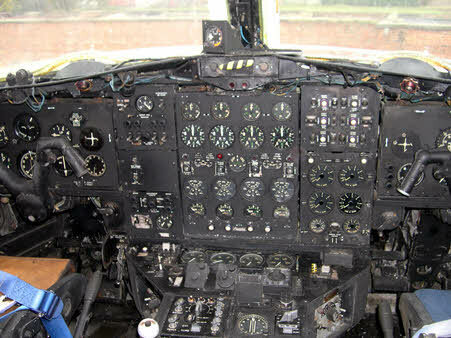 ABOVE LEFT: The Instrument Panel. 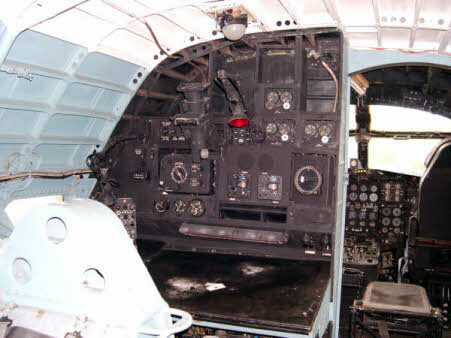 ABOVE RIGHT: The Pilot’s Seat and Yoke. 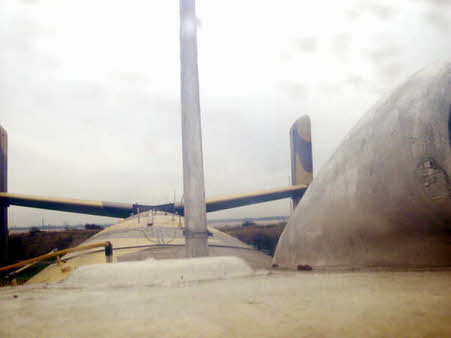 ABOVE LEFT: The Co-Pilot’s Seat and Yoke. 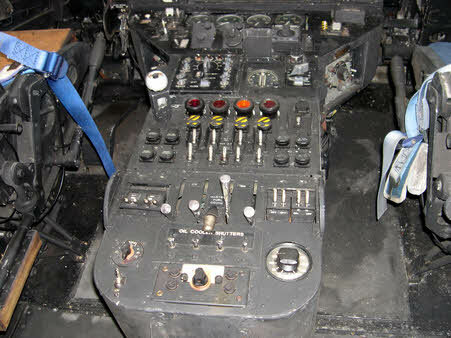 ABOVE RIGHT: The Centre Console. ABOVE LEFT & RIGHT: The Navigator’s Position. Notice his large window. ABOVE LEFT: Looking aft from the Astrodome. 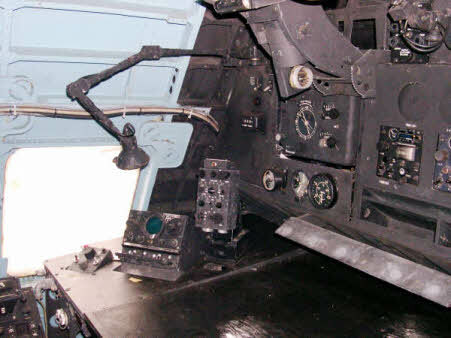 ABOVE RIGHT: The Signaller’s Position. 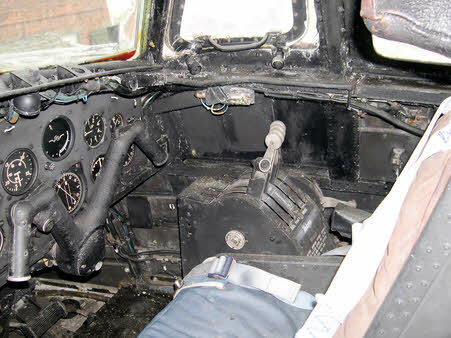 ABOVE LEFT: The area behind the co-pilot. 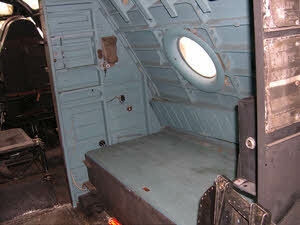 ABOVE CENTRE: The spacious Flight Deck Beverley crews had. ABOVE RIGHT: Looking up at the Flight Deck. 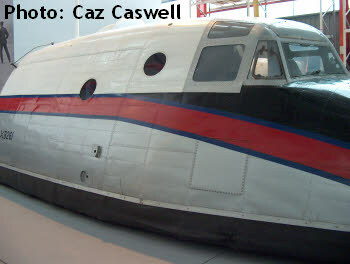 It is said that when the Universal Freighter Mk.1 took off on on its maiden flight on 20th June 1950, the pilot, Tim Wood, said to the co-pilot, "My side’s airborne, how about yours? ".